PROS Conversion optimization experts will develop the best strategy for your business. Conversion Rate Optimization (CRO) helps to create an impact on the visitors of a website or a landing page so that they turn into customers. We use proven online techniques and our experience to reduce your website’s bounce rate (the percentage of visitors leaving your website) which in turn gets you more traffic (higher pages viewed per visitor), resulting in higher sales. It helps to keep your customers connected to your website or the landing page through sales, sign-ups, memberships, etc. For more info, please contact our CRO consultants for a FREE consultation or call us today at 619.567.9322. Despite a well-design of your website and the number of visitors you’re turning into users, it’s likely you can make the conversion process effortless–leading to better results for you. Spending more money on paid advertising is not the solution. CRO works with what you have and assists to identify and deal with obstacles if confronted. You are searching for those who will love your product and help your marketing efforts by informing others. CRO capitalizes on traffic you already have. This indicates more money is not spent by you to get visitors to your site, just performing an excellent job of converting them once they get there. Optimization enhances the return on your current investments. When you double your conversion rates, it means you are halving your cost-per-acquisition (CPA), or how much specific new customer costs you. Your profit is closely linked with your conversion rate because you aren’t spending more to obtain these conversions and that profit goes straight to your bottom line. More profit means extra money to spend on acquiring new users. Furthermore, you’re already aware where to spend it because you know which funnels are bringing in the best users. CRO not only helps you but your affiliates too because they will earn more as well. Thus, it will make you more valuable to them. All you need to be successful is to be slightly better than your competitors. So if you optimize your site to give what users require in just a slightly better or quicker way, even if it’s just a few seconds faster, they are going to go with you. Your market share will increase immensely as it creates a powerful flywheel of momentum. The better your conversion rate, the more traffic you can afford, the more customers you get, and so on. And thus, you’re dominating your market before you know it! We can transform your websites strategically and redesign to improve conversions on every page of your site. We can tune up your existing website with a new conversion-focused homepage. Quick low-cost conversion analysis via 45-90 minutes online review consultation. 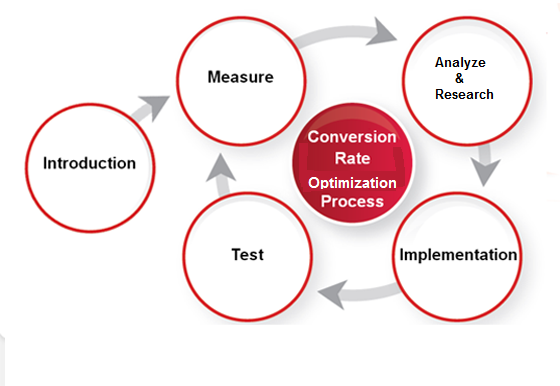 Conversion Rate Optimization consultation by industry experts. Our new technology platform to improve Lead Generation and Marketing Automation. Mobile-based versions to improve conversion for mobile users (tablets and smartphones). We can improve your content including ad copy and call-to-action for conversions.